You must make reservations at least 5 minutes in advance of the time at La Ciccia. 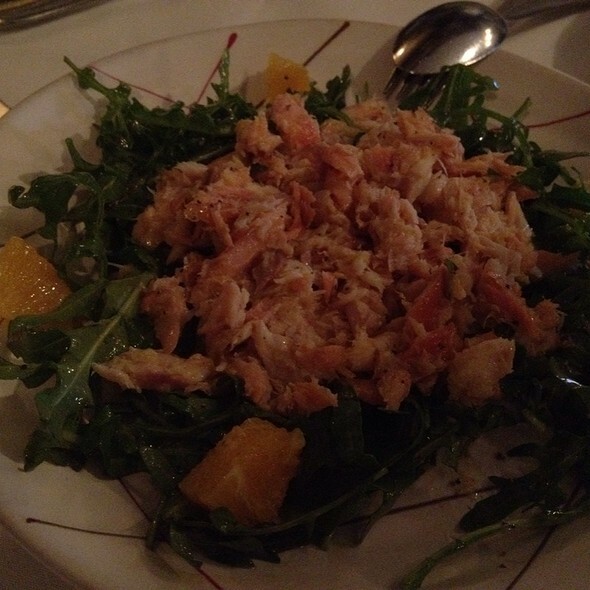 La Ciccia is a cozy and intimate restaurant located on the edge of Noe Valley. Husband and wife owners, Massimiliano Conti and Lorella Degan work together to take you to a culinary journey through the Italian island of Sardinia. The chef is committed to use the freshest and the most authentic ingredients from his native island, resulting in pungent, lively, flavorful food. The all Italian wine list,170 labels selection represent every Region with more than a quarter devote to Sardinia in order to pair the traditional earthy flavors as well seafood influence of Sardinia cuisine. La Ciccia is a tribute to Sardinia an experience not to be missed. Lorella and Massimo always makes for a wonderful night. They continue to provide the rarest of experiences now nowadays in dining; combining the warmth and comfort of dinner with old friends with food that surpasses many Michelin starred restaurants. They also have an outstanding wine list including many great Sardinian wines. As usual, everything was wonderful. I always try to get there when it opens, as it can be very noisy. 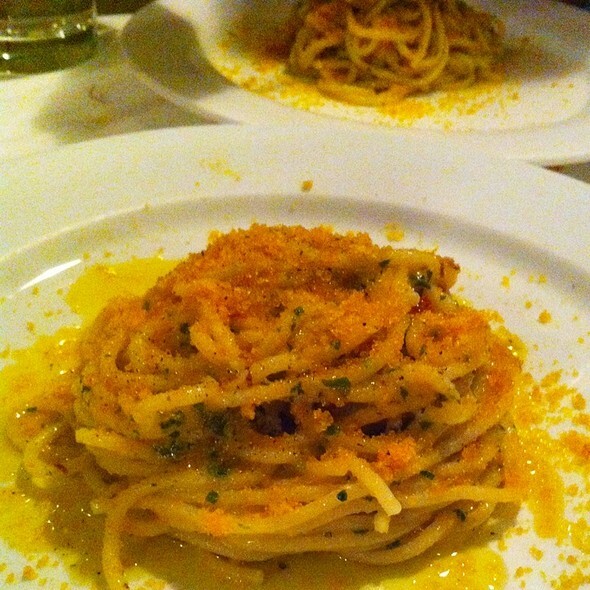 We ordered the penne with uni and the bucatini with bottarga and both were incredible. Our go-to place for a nice night out. Never fails us. Remarkable wine list with picks from obscure Italian wineries. The food is beyond delicious. La Ciccia was recommended to me by a friend from Portland who was spending a night in San Francisco before a European vacation. That was probably 10 or 12 years ago. This was my third time dining here. If anything, the food, which was excellent years ago, has gotten better. Or maybe my ordering is getting better. Although our server was very conscientious by pointing out the octopus appetizer I was expressing interest in was spicy. I love spicy but my gut can't handle it anymore, so I really appreciated that. Our server, Donald, I think, was completely professional, really knew his menu, knew his extensive wine list very well, and had a very pleasant personality. Casual but professional. We have been eating out at Italian restaurants here in SF for 41 yrs and LaCiccia ranks in our all time top 2-3 . A treasure because it is perfectly right-sized to be run by wife ( constant presence in the dining room ) and husband ( the chef ) owners , not by absentee multi-restaurant name chefs and/or passive investors with bored nomadic staff , so expect it be consistent . The food is unique because of their natively-sourced Sardinian ingredients . The calamari with basil oil , the fresh toothsome spaghetti with spicy oil and cured bottarga and the chewy nougat/ luscious chocolate semifreddo drizzled with Sardinian abbemele syrup are all out of this world delicious! extremely overrated. poor selection of dishes for vegetarian. Nice place for a special night out with my ladies. They loved their meals - the Spaghittusu cun Allu Ollu e Bottariga (Fresh Spaghetti Spicy Oil Garlic Cured Fish Roe) and the Proccu cun Cibudda e Zaffarau (Breaded Pork Scaloppine Saffron Onions Smoked Pancetta) - it’s a large portion. And they loved the baby octopus appetizer. We all loved the flat bread, we had the cheese on the side. The bread they bring to the table is pretty useless, they could at least serve it warm? I eat almost vegan, I eat eggs, so I had the Spaghittusu cun Tomatiga e Casu (Fresh Spaghetti Plum Tomatoes Onions Saffron Fiore Sardo Dop) without the cheese. I tried to ask if they would add some vegetables or something, or more of an olive oil-ish sauce but they were not very accommodating. Though I don’t usually expect a place to be, when they are small, have a good chef, and have the ingredients and it’s pasta I have found they usually whip something more interesting up. It was ok, spaghetti with tomato sauce, but was a little disappointed to be honest. We asked the waiter for a recommendation on wine, we decided with a $35 corkage fee we would buy off their list which is extensive. He recommended a $64 (totally fine) Monterpulciano that was not impressive. That was sad. We had the Semifreddu de Ciuculatti (Chocolate Semifreddo Abbamele Toasted Hazelnuts) for dessert and they loved that. All said though we had a nice evening and are glad we went. But we agreed we would rather try something else new rather then return again. I think our experience may have been more of lack of effort from the waiter we had vs the restaurant as a whole. The women, owner?, who checks in with the tables is very sweet and does want you to be happy. I didn’t mention any of this to her. La Ciccia is a neighborhood gem. The staff is welcoming & thoughtful in guiding you through the menu. We tried the spicy homemade pasta with fish roe. It was delicious & now favorite on list of all time great comfort food dishes. The oven roasted shrimp -beautiful presentation ( buttereflied in shell) & succulent. Don’t forget to order the flat bread with tasty cheese- thin & crispy. Extensive interesting wine list. Will be going again soon. Food is amazing, they have down to Earth waiters and great ambiance. 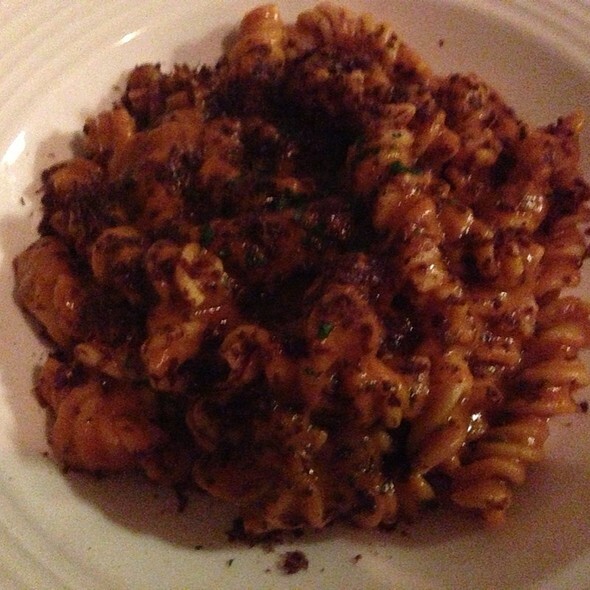 The pasta was fresh and delicious with every spoon full your taste buds would scream for more. The mozzarella with aragula and anchovies was a great appetizer. The waiter helped us with our choices and the wine. We liked everything but the sea bass was just ok we have tasteed better fish but the pasta was incredibly creamy and smooth. I thought I was over hyping it in my mind but it was incredible! As always, the food and service was excellent! My ratings say it all... top quality, food, service and overall experience. Loved it. Will highly recommend. Some of the most original, inspiring food you will find in the city. Great wine list, knowledgeable friendly staff and an overall great experience. Highest recommendation. Weekly dinner with my friend - absolutely wonderful food, the service was impeccable and they kept our glasses full. The recommendations were spot on. Very warm ambiance. A little loud at times, but I would love to go back again and again. La Ciccia never disappoints. The food is handling is excellent, utilizing quality ingredients and never over seasoning their dishes. My wife and I have eaten at La Ciccia numerous times view it as a destination restaurant whenever we visit San Francisco. Absolutely one of my favorite places in the city. Everyone should come. Our waiter,Paulo, was superb, helpful, and knowledable. 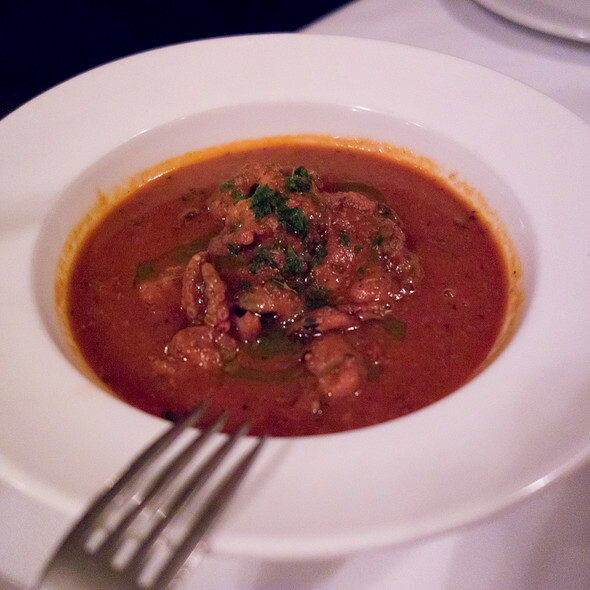 Consistently superb Sardinian Italian. Unpretentious, reasonable prices, hefty portions. Baby octopus stew a must order, as are all their pastas. Unique wine list with many excellent Sardinian bottles. I went to La Ciccia for the first time last week. The Sardinian food, wine (Carignan blend), and service were all excellent. Even the olive oil for the table was spectacular. 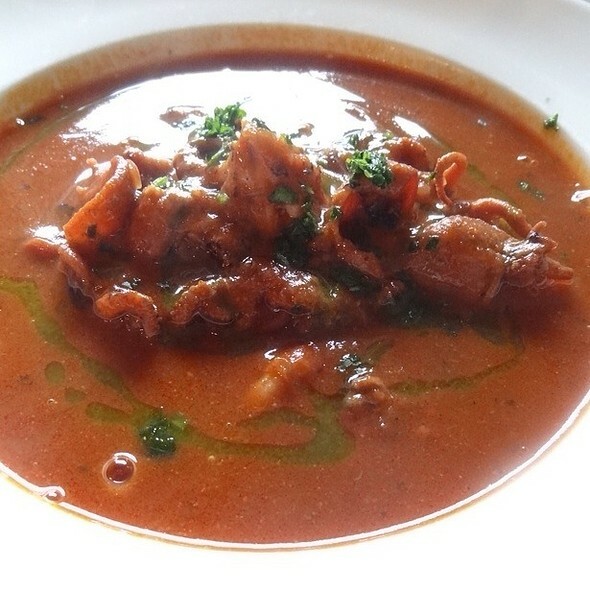 I had the special seafood soup in a rich tomato broth as an entree. My fiancée had the spaghetti because she is a vegetarian - the saffron tomato sauce tasted strange to us. Perhaps pass on that along with the espresso. Everything else was great. Great place for unique seafood dishes and wines from Sardinia. The food was absolutely fantastic. Fresh ingredients were used and prepared in a great way. The attention to detail is incredible. Without a doubt my favourite restaurant in SF, and why I’ve been coming back for years now. High quality and delicious food in a relaxed neighbourhood, out of the way of the hipster places with overpriced cocktails and hour long waits. Thank you for an amazing dining experience!! Don't be deceived by the short menu - every single item on there is a surprise and a delight. Make your reservation now - it's worth the wait! We LOVE La Ciccia. It was our go-to restaurant when we lived in San Francisco. Now that we have moved out of California we make a point of visiting there when we are in San Francisco! Delicious food and Lorella has compiled an incredible wine list. Food was way too salty, badly plated and uninteresting. Service was indifferent. Desserts were uninspired and presentation was poor. What on earth gives this place a good reputation ? Appetizers and entree wow. 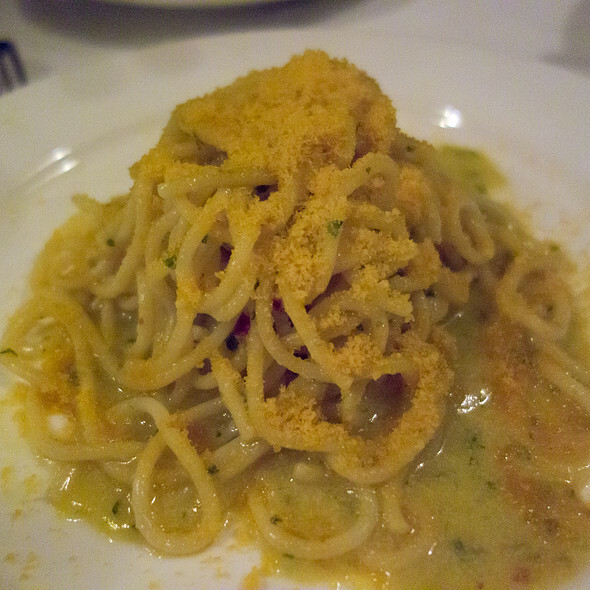 Octopus salad, bottarga and celery, and spaghetti with bottarga. With Sardinian Monica wine. Could not be better. We love La Ciccia! We come to San Fran very often and we always try to have a dinner there. This visit our dinner was really wonderful..... creative, fresh, and delicious. We always recommend this restaurant to our friends as well but because it is so popular and so small it is difficult to get a reservation. Overrated and overhyped. Not worth the wait to get a reso. Food was ok, nothing stood out. Glad I tried the place but don’t see myself coming back. Amazing Sardinian food. Fresh pasta, great seafood. Food was very good, but service was inattentive. While all were friendly, there were a couple of forgotten items that we had to ask for twice, and service was slow overall. Food was poor quality. The prawns were overcooked and placed on a bed of tasteless vegetables. Honestly, I do not know how this restaurant can have 4 + stars. The people were extremely kind. They should fix the food. 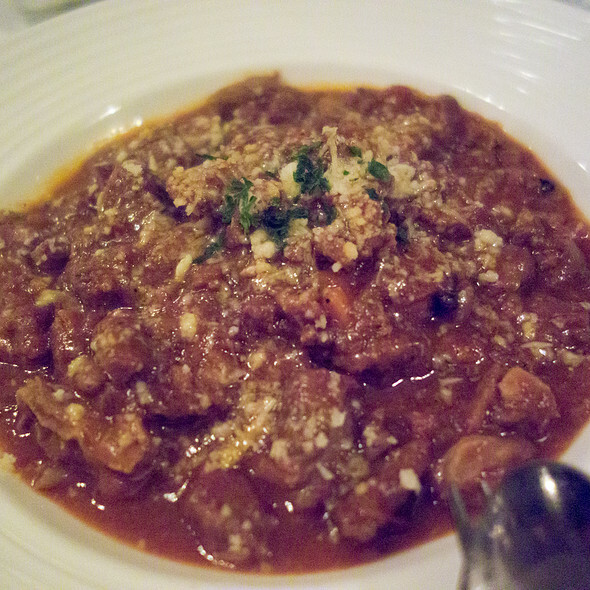 An excellent experience as usual, with some of the best Italian wine selections for the type of cuisine offered. 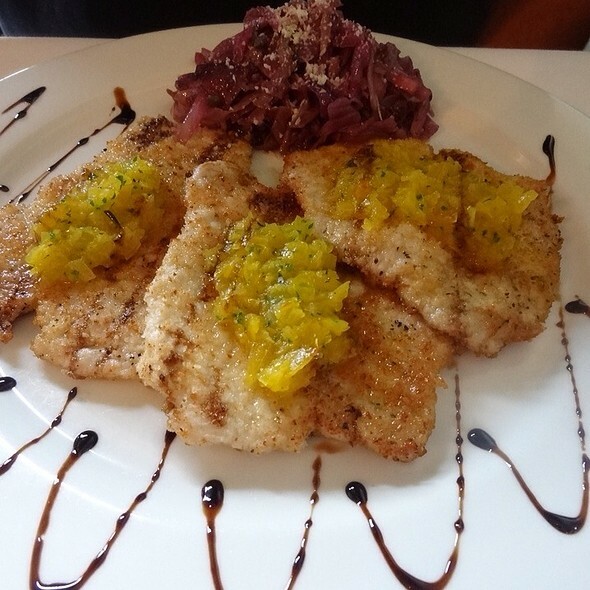 Make La Ciccia a staple and stable choice for a great dinner. This is the second time we've tried La Ciccia, and while we weren't overly impressed, we wanted to give it another shot. Our second visit solidified for me that this is a mediocre Italian restaurant. The food is okay and some dishes can be good but not great. The flavors are interesting, but not balanced. I would go here for a quick casual dinner, but I'm very confused by how booked up it gets. 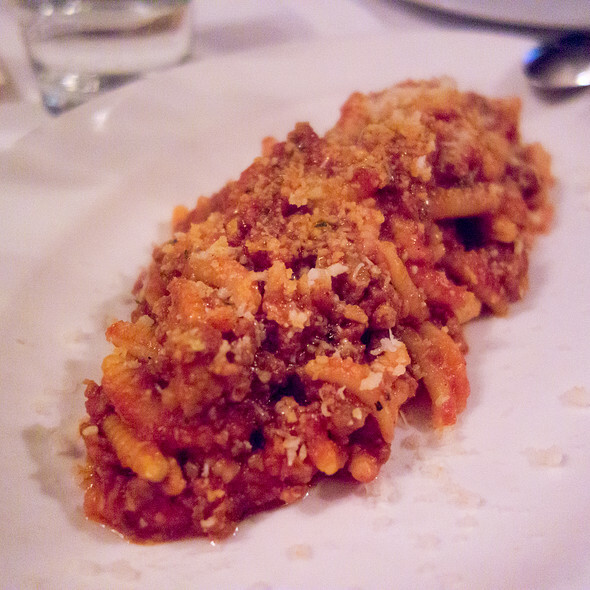 In my humble opinion, Locanda in the Mission makes better pasta dishes. We arrived at 10:30 pm after a basketball game & were greeted & seated immediately & had a fabulous meal! The food was great, and our waiter was very nice. My only problem was with the hostess. We were 15 minutes late for our table and called to let her know. Fifteen minutes is within the restaurant’s acceptable time period to keep a reservation. I apologized upon taking my table. The hostess didn’t respond and appeared to glare at me for several minutes after walking away in what I took as an effort to speed up my ordering. I also noticed she checked on every table’s meal except ours.